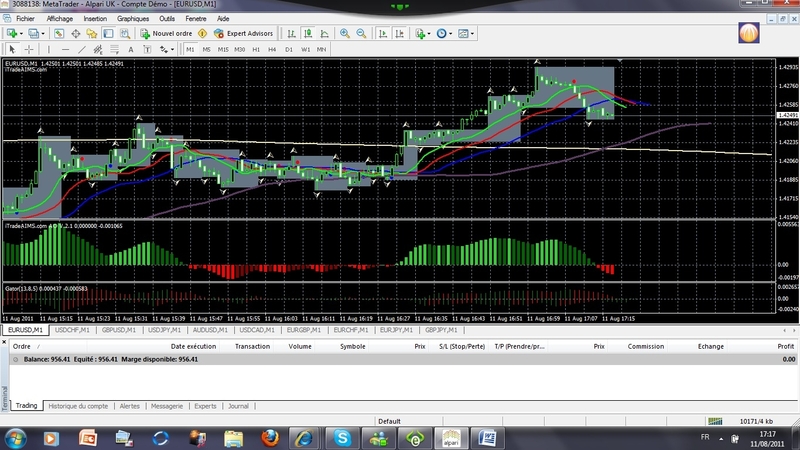 I have just made 139 pips today using AIMS trading. Once you know how to spot a saddle point, its very easy! You got your saddle point, your dot alert, check the rules, check M5 trend and lets pips go. Exit correctly and bingo! Dont get it wrong, I did have losses (6 of 16 trades) but i keep them low. I can only thank Immy and his so friendly AIMS team for helping me. Now i must stay focus, patient and disciplined. Erik, keep doing samething all over again, as for me I made 51 pips today just on two trade both winners. made 10% profit on my acc. Immy all i got to say is thank you. i started trading M1 yesterday but there is no going back, I'll do it all over again till i get bored doing it or stink of making money.